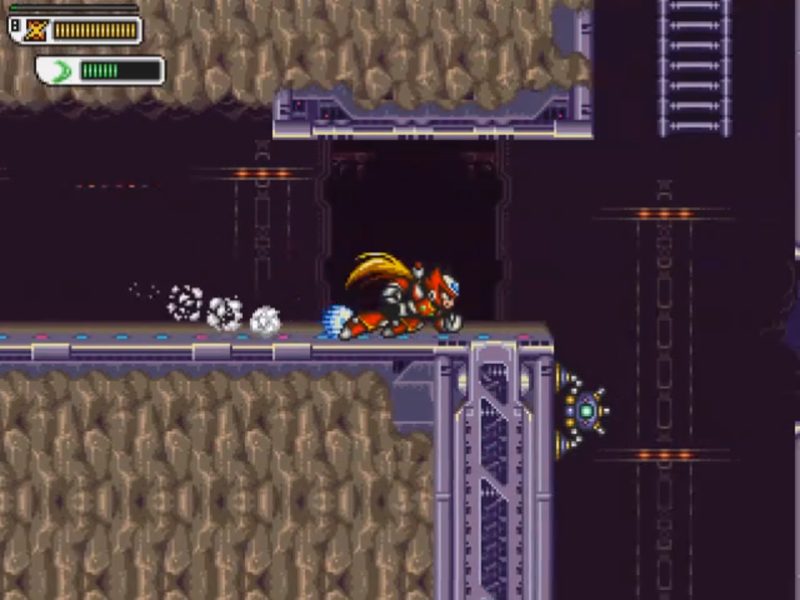 If you have enjoyed playing the Mega Man X games in the past, you’ll thoroughly enjoy this one. Mega Man X: Corrupted offers many additional hours of fun than the typical titles by implementing some unique features that not only encourage longer lengths of gameplay, but also encourages you to replay the game over and over again. There are also five different levels of difficulty that you can adjust in the game. The first item to address in this regard is that the decisions you make in the game matter on it’s outcome. You will not only be able to change the path of the story itself, but will eventually lead to different endings as you complete the game. Mega Man X: Corrupted is not just a single-player game either, you will be in competition with the world as scores are submitted to scoreboards that can be viewed by the world. One huge feature to the game is the introduction to a Level system and Skill Points. As you begin to level up, you will be able to obtain Skill Points, which will allow you to upgrade weapons and skills. You will need to strategically distribute these upgrades, as you obtain Skill Points. By completing certain achievements in the game, you can accumulate extra Skill Points along the way. 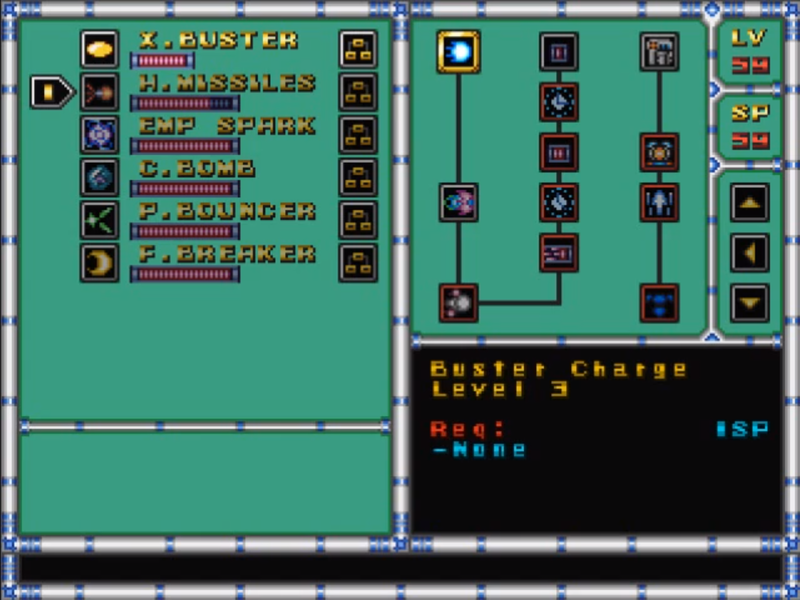 In addition to the typical items found in the Mega Man X games, you will find several hidden items to collect. Unlike the typical Mega Man X titles that were released for the Super Nintendo, you will also have new abilities in movement. For instance, you’ll be able to duck to avoid enemy attacks as well as to grab onto ropes that are in certain locations. Some of the items obtained will also grant improved flexibility through certain areas of the game. The world of Mega Man X: Corrupted is not the typical “choose a level and defeat the boss” style. Instead, the world is much like the Metroid game series, where you will be able to travel to all areas of the world without the need of selecting stages. This aspect of gameplay gives you one important option that you didn’t have before in stages: choice of direction. Typically when you play a Mega Man game, it’s virtually all the same idea; you start at the left portion of the stage and work your way across to the right, where you will find the boss. The ability to move in any direction for you to accomplish your mission is now at your control. Do you want to go down in the sewers or do you want to go up to the sky? The choice is yours. To help with your exploration, you will also have a mini map that will fill itself in when you travel. Throughout the map, you will find checkpoints and save point systems to save your progress. Another interesting aspect about the world that we are very excited about is the fact that the environment will change in certain locations after bosses are defeated. Certain environments may be more difficult to travel than others. Along your journey, you may find up to six rideable armor robots. As one would expect, you will be able to play as Mega Man X (often referred to as just “X”) as well as his companion and best friend, Zero. Each of these characters will have his own introduction and opening stage. Both characters have their own advantages and can allow you form strategies in completing certain locations. Mega Man X has more of a long-distance style and Zero gets up and personal with his saber he obtained in the Mega Man X2 game, released for the SNES console. It is possible to switch between characters at certain stations in the game. As always, X is able to shoot a variation of weapons obtained from the bosses he manages to defeat. In addition, X is able to find capsules to obtain armor upgrades. 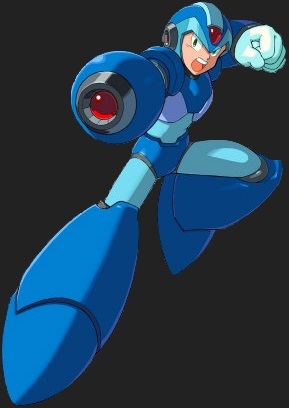 Much like from the Mega Man X, X2, and X3 titles, X can instantly use the parts he obtains, whether it be his helmet, buster, armor, or legs. There are three armor sets that can be found and you are able to mix-and-match armors from different sets to formulate your own strategy. The Hydra Armor allows X to have an increased recovery rate and draws in items with the helmet. The chest upgrade allows him to push and damage enemies on contact. Upon obtaining the arms upgrade, he will be able to have a fast spread shot. Finally, the boots upgrade allows for a Hydro Jump ability as well as enhanced underwater mobility. The Phoenix Armor helmet replenishes energy for the weapon X has selected while he’s standing still. The chest upgrade similarly increases health energy when his weapon is fully loaded. With the arms upgrade, X shoots a stream of fire that bursts into flames on impact, which will thereafter home in on nearby enemies. The boots upgrade allows for the ability to walk on fire and lava. In addition, he will be able to dash faster and longer, leaving a trail of harmful flames. Finally, the Ultimate Armor gives X unlimited energy for special weapons with the helmet upgrade. He also only takes half damage (50% reduction) when hit by an enemy with the chest upgrade. Also be prepared to be able to charge up four levels with the arms upgrade. The final charge releases a powerful plasma shot. The boots upgrade allows X to hover for a short period of time. If you prefer slashing your enemies apart, Zero is definitely the way to go. There are also armor upgrades that Zero can obtain. However, Zero will not attack as long-range as in Mega Man X3. Instead, he will be controlled much like the X4 and X5 games, mainly utilizing his saber. After defeating a boss, Zero will obtain additional special moves and abilities that he may use at his disposal. Similar to the traditional Mega Man X titles, there will be eight new Mavericks to defeat. This will allow for a new array of new weapons and skills for X and Zero as you progress through the game. In addition to the typical eight bosses, a new antagonist will show his face. This Maverick is known by the name of Spike. 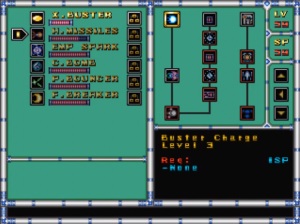 For more information on the weapons that Mega Man X will receive and the skills that Zero will learn from the bosses after defeating them, click on the boss name below. You should immediately recognize not only the familiar enemies from the Mega Man X games, but also some new ones with their own AI (artificial intelligence). For some of the older enemies, they will have their AI adjusted and improved.